Creativity and creative people have been the subject of much research, but this has often resulted in contradictory findings. On the one hand, there is research demonstrating that creative people are more likely to have certain mental illnesses. On the other hand, research has shown that creative people, men in particular, are more appealing mates. These two ideas are seemingly contradictory, because mental illness lowers a person’s sexual appeal. It was this confusing patterns of associations that Melanie L. Beaussart, Scott Barry Kaufman, and James C. Kaufman decided to explore in their recent study. Through the course of an online study, participants completed a series of questionnaires that measured personality, creativity, number of sexual partners, and mental health symptoms such as depressive tendencies. Creativity was associated with schizotypal characteristics and certain personality traits, but gender differences were present for both traits and schizotypy. Gender differences also played a strong role the relationship between creativity and short-term mating success, with males appearing to benefit the most from being creative. Depression, however, seemed to negatively affect the sexual success of both genders equally. On the whole, the researchers discovered that creativity is associated with both short-term mating success and mental illness symptoms in males, perhaps explaining why problematic traits (such as neuroticism) persist from an evolutionary perspective. Beaussart, M. L., Kaufman, S. B. and Kaufman, J. C. (2012), Creative Activity, Personality, Mental Illness, and Short-Term Mating Success. The Journal of Creative Behavior, 46, 151–167. For a copy of the original article, please contact R. Mar (e-mail in profile). 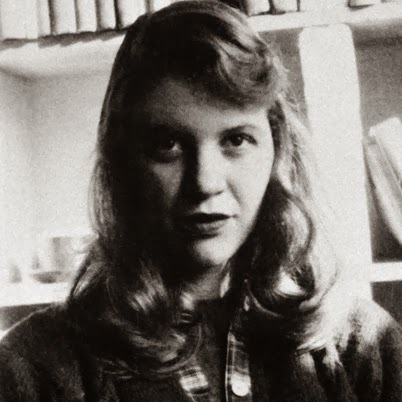 Pictures: Sylvia Plath, a writer who famously struggled with depression. "These two ideas are seemingly contradictory, because mental illness lowers a person’s sexual appeal." This is contradictory to my anecdotal experience of all of my friends who have claimed to have fallen for "crazy girls." That's an interesting observation. It could be that the relationship is asymmetrical, where mental illness lowers the sexual appeal of males but not females. An interesting possibility, that's probably amenable to an empirical test.